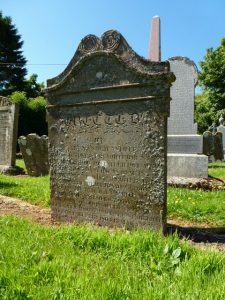 James Farquhar White was a successful jute and linen merchant who spent his early career in New York importing Scottish and Irish goods. He continued his business in Dundee after his return to Scotland in the early 1860s. James Farquhar White came to Dundee to join his brother Alexander as a linen merchant. He then left Dundee to run a business importing Scottish and Irish linen and jute in New York. 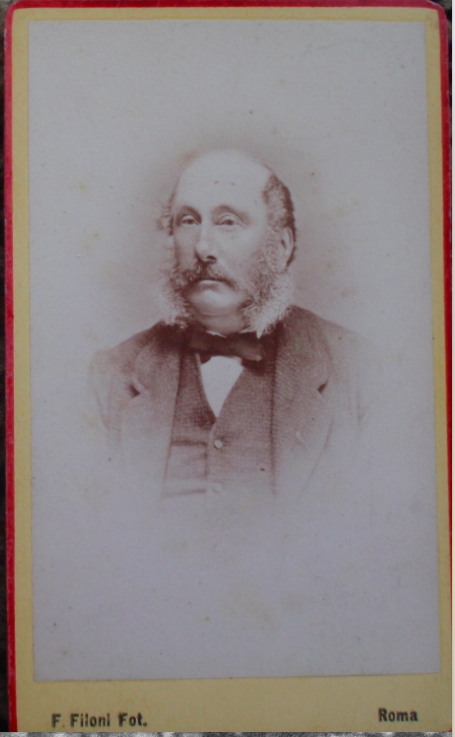 He returned to Dundee in the early 1860s and continued his work as a merchant. From his humble beginnings in rural Forfarshire, James entered into business with his brother, Alexander, in Dundee. 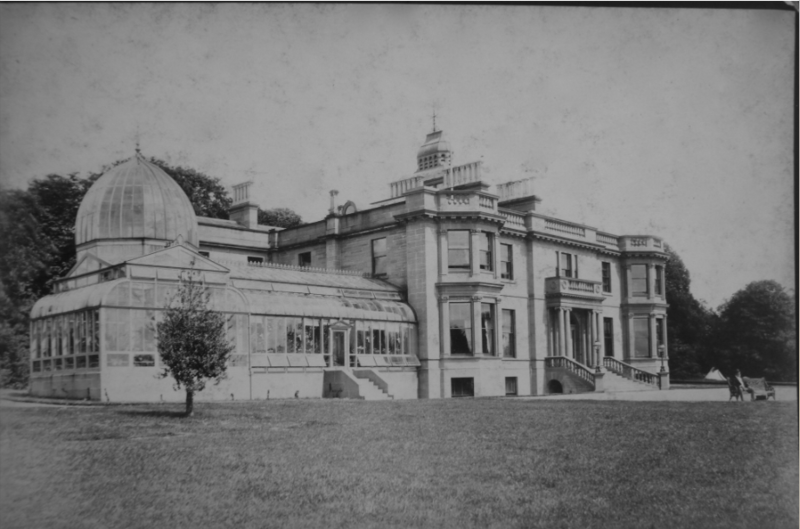 Shortly thereafter, he left Dundee for New York where he ran a profitable enterprise importing Scottish and Irish goods. His partner in business, Bryce Gray, was originally from Greenock. 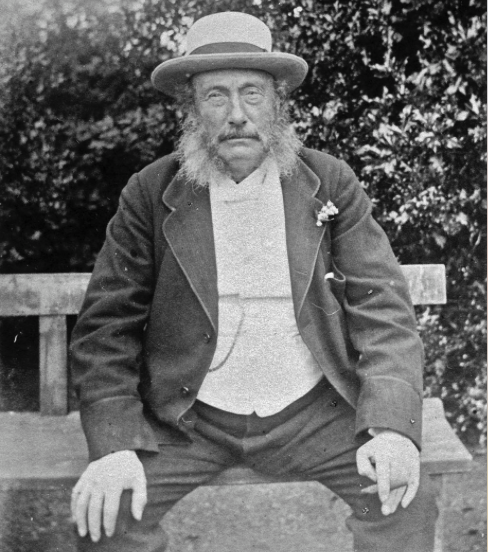 He arrived in New York in 1847, aged 21, and became cashier for White & Thurger. That company was succeeded by the firm of James F White & Co., of which Bryce Gray became a partner. James F White returned to Dundee in the early 1860s (his son James Martin White – born 1857 – being around 3 years old on arrival in Scotland) and leased Castle Huntly in Longforgan. The census of 1861 reveals that he lived in some style, employing six indoor servants, gardeners, and a coachman. 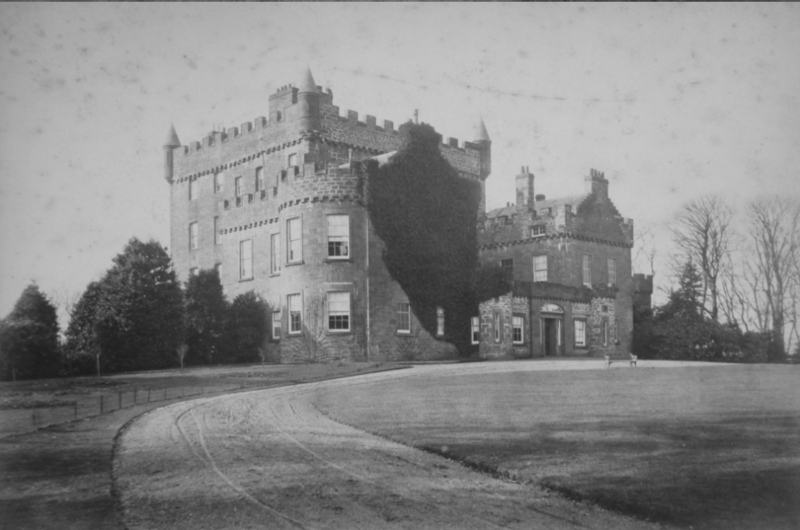 James F White remained resident at Castle Huntly until 1880 when he acquired the estate of Balruddery. 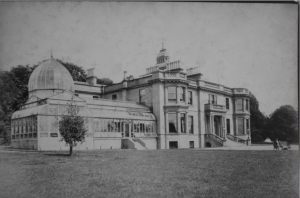 He moved to Balruddery House around 1881, having had it extensively remodeled and electricity installed. 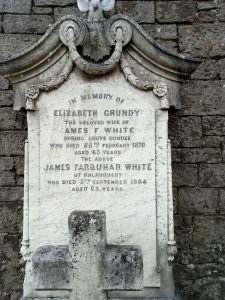 At the time of his death, James Farquhar White was described as having been well known and much respected. Old Parish Registers. Dunnichen. Births. (1821). 283/ 20 7. ScotlandsPeople website. Intimation on Gravestone. Western Cemetery. Dundee. London Evening Standard. 12 July 1856. p.4. Findmypast website. Dundee Postal Directory, 1864-64. Dundee Central Library, Local Studies. Dundee Postal Directory, 1869-70. Dundee Central Library, Local Studies. Statutory Registers. Liff and Benvie. Deaths. (1884). 301/ 25. ScotlandsPeople website. Dundee Evening Telegraph. 05 September 1884. p.2. Findmypast website. Dundee Courier. 06 September 1884. Findmypast website. Aberdeen Press & Journal. 06 December 1880. p.4. Findmypast website. Intimation on Gravestone. 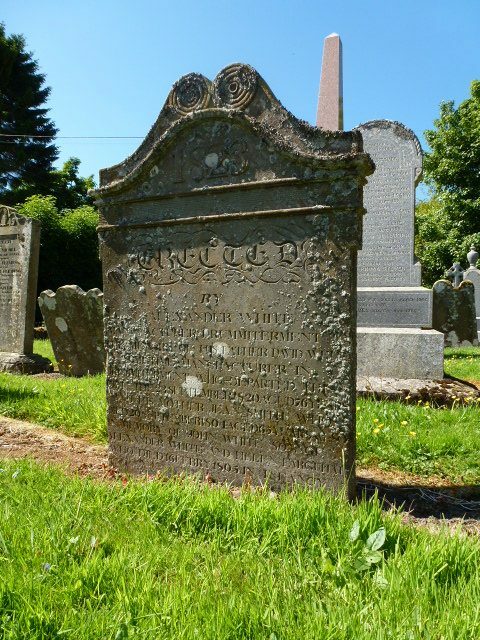 Dunnichen Kirkyard. Angus. Ordnance Survey Name Books. Forfarshire (Angus). 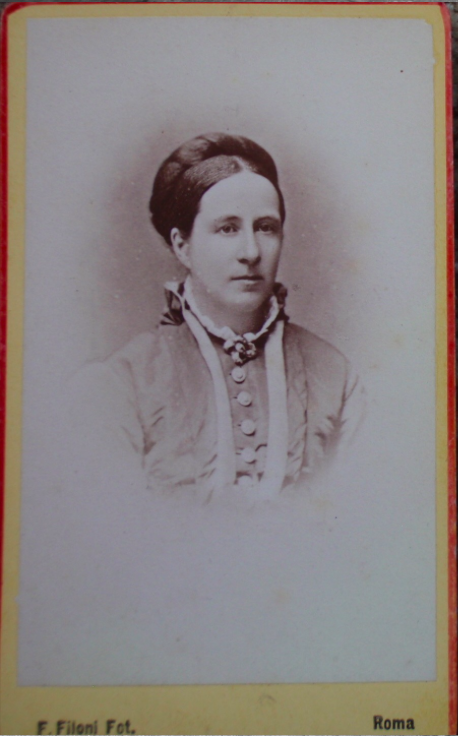 1857-61. Volume 38. National Records of Scotland. Ref CH2/ 108/ 1. pages 294-299. Dundee Advertiser. 11 August 1897. p.6. Findmypast website. Dundee Courier. 09 July 1928. p.7. Findmypast website. Canmore website. Canmore ID 190697. The information above about James Farquhar White has been collated from a range of digital and hard copy sources. To the best of our knowledge it is correct but if you are relying on any information from our website for the purpose of your own research we would advise you to follow up the sources to your own satisfaction. If you are aware of an inaccuracy in our text please do not hesitate to notify us through our Contact page.